A major hurdle for many Florida businesses seeking to take advantage of foreign market opportunities is access to affordable working capital. The State of Florida, working in partnership with the federal government and the State’s lending community has lowered this hurdle for small and medium-size Florida businesses. In a continuing effort to improve its services to the Florida business community the State of Florida formed the Florida Export Finance Corporation (FEFC). 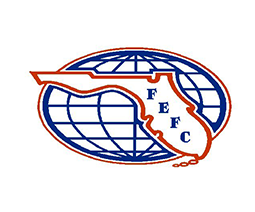 The Florida Export Finance Corporation (FEFC) was created in 1993 as a not for profit corporation with a mandate to expand employment and income opportunities for Florida residents. Leland Capital is excited to be named an Approved Lending Partner with FEFC. Under the program, in order to make full use of its leveraging authority most FEFC financial assistance to exporters will be in the form of guarantees given to commercial lenders who make loans to exporters to support a verified foreign order. The exporter may apply directly to the FEFC for a loan guarantee or, preferably, a lender may apply jointly with an exporter. The maximum amount FEFC will consider guaranteeing is $500,000 on a single transaction and the FEFC guarantee may not exceed 90% of the loan value. The maximum direct loan to an exporter by the FEFC may not exceed $50,000. The FEFC guarantee is available for pre-shipment loans or post-shipment loans or combination of both. The FEFC will assist exporters and lenders in arranging loans exceeding the FEFC limits in order to complete an export sale of any size including Ex-Im Bank product and project loans and SBA loans. The FEFC, as a holder of an EX-IM Bank Umbrella Insurance Policy, will assist exporters and lenders in obtaining credit insurance to mitigate foreign risk. The FEFC is a participant of the Regional Export Promotion Program (REPP) of the Export Import Bank of the United States (EX-IM Bank) and offers Florida exporters access to export assistance programs offered by the EX-IM Bank and the SBA. Services include packaging for EX-IM Bank and SBA export working capital guarantees, and other loan, insurance and guarantee programs offered by these U.S. Government agencies. The agreement of lenders to accept the FEFC guarantee is dependent on many factors. The question of safety is paramount and is reflected by FEFC’s credit policy. Where possible FEFC will use the risk mitigation programs of Ex-Im Bank or other acceptable means. FEFC’s credit policy and procedures, and its operations policy and procedures, are similar to those of a lending institution and have been formulated by the FEFC’s Board of Directors to evolve based on FEFC’s delineated market. These 15 individuals all have extensive experience in commercial lending, export sales, and trade finance, representing and blending the expertise of banks and exporters, both large and small. Ready to get Approval on your Florida Export sales? Please review the information listed below, complete the attached application, and email it to us at info@lca-inventory-financing.com.